Here are few pics that I've come across on the internet and on the streets..... they are just plain ole' ridiculous..... For each photo I had the same exact reaction which was "no! 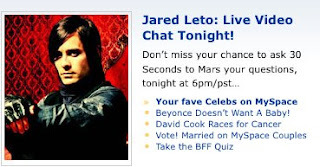 you can't make me _ _ _ _"
I do not want to chat live with Jared Leto....What does anyone have to say to him? I don't care about your band!! If this were the early 90's helllllz yea I'd chat with you... but no I don't want to talk to you, I'm too busy twittering. And someone please tell myspace to stop it!! Stop telling me that Beyonce doesn't want a baby...that's up to her...she's grown - she can do what she wants! 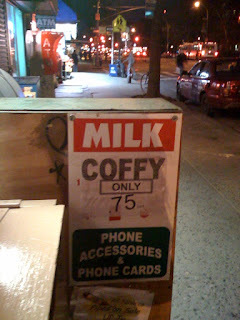 This photo was taken in the Lower East Side (NYC)..... do I have to spell it out for you? lol no thanks.. 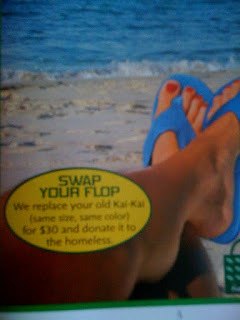 I saw this advertisement out in Montauk..... it reads: "We replace your old Kai Kai's for $30 and donate it to the homeless"
LOL!! Why would the homeless want used flip flops? I know it seems like a good idea but please stop it! These last 2 photos are from one of my favorite blogs: Failblog.org -- The photo of the jeans --- that's just silly..... 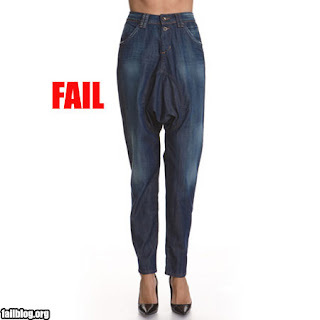 I would imagine that they are maternity jeans gone wrong (I hope!) 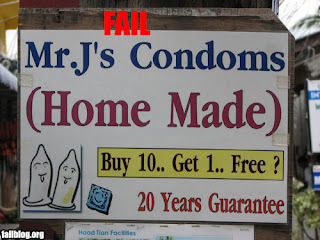 lol but the handmade condoms! NO THANK YOU!!!!! "MR. J!"